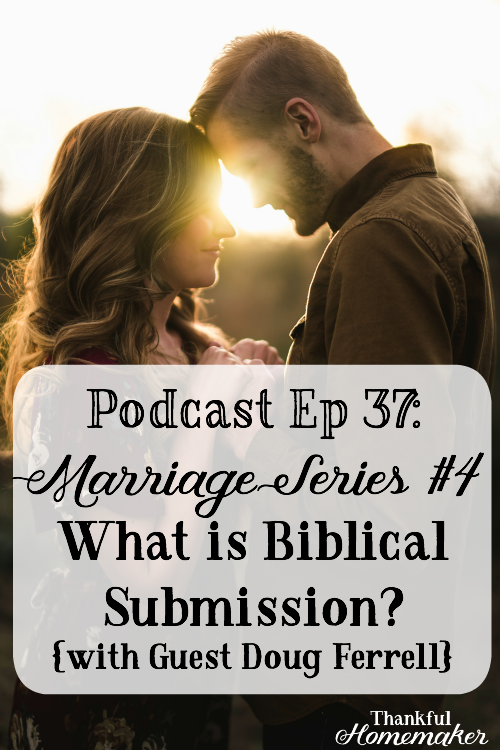 We're continuing in our marriage series, and podcast episode 37 is part one of a two-part episode in the series on submission. I'm a bit excited to have my husband joining us today, and he's going to work through with us what is the theology of submission. You can find all the podcast episodes in the marriage series here. That’s the Christian wedding text that everybody wants their pastor to use for the ceremony but after the wedding cake, it becomes a real struggle in its application! It is a text often quoted, usually misunderstood and misapplied and creates a lot of unnecessary tension in a marriage. And that is why it is critical for us as married couples who are followers of Jesus, His disciples, to grasp this properly and obey its teachings. And so what we should attempt to accomplish in our short time together is the theology embedded in this principle of submission; that is, what does God mean in His command for wives to submit to their husbands? Submitting to our husbands is for the cause of Christ. It is to put on display how our lives and marriages have been changed by the gospel. 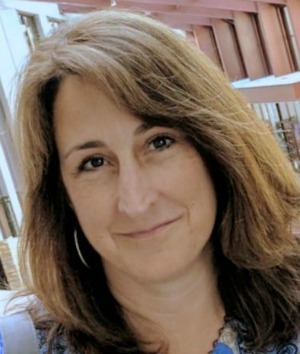 I'm listing below my questions and comments to my husband from the podcast. I've shared a few quotes from Doug below too but my hope is you'll get to listen in to the whole podcast. I always think this section of scripture contains some controversial verses – especially in the teaching to women here. I’m reminded that Christ is my model and as I was preparing for this podcast I needed to go back and read through the whole book of Ephesians as I encourage all you ladies to do. Because in the previous chapters of Ephesians, the apostle Paul shows us how the doctrine he has been teaching us in the previous chapters of Ephesians now becomes lived out practically in our homes. So let’s start at the very beginning. Help us to understand what does the word submit mean in Ephesians 5:22-24? I love that you brought us to those verses in Philippians and as I read through Ephesians that “Therefore” in Ephesians 5:1 refers back to not just the previous chapters but also the closing words in Ephesians 4:32 – Be kind to one another, tenderhearted, forgiving one another, as God in Christ forgave you. We’ve been forgiven through Christ if we have repented of our sins and put our faith and trust in Jesus. So Christ is our example of the teaching that follows. We are to be imitators of God. Humility and mutual submission should be evident in the lives of those who have put on the image of Christ. So as Christians we all submit to one another whether we’re husbands or wives or children or employees. The reality is there are difficult relationships out there, and truly there are just days that we may not feel like our husband deserves to be in authority over us. Basically, I’m saying there are going to be days and moments where we just don’t want to submit. So how do we do this? I love the reminder you gave us when you said a person who is letting the Word of Christ dwell in them richly; will be submissive and seeking the benefit of others. That should be the desire of Christians to one another. So let me ask one of the controversial questions that people think about submission – are women told to submit because we’re of lesser value? I’m thankful when you take the lead in our home. I also know that you are so good to listen and seek my opinions and ideas on decisions we have to make too. I know this isn’t the case in every home but Doug how would you recommend a woman respond when she has given her opinion or guidance to her husband, and they differ in opinion, and he believes his way is best? We see clearly in scripture that we as women are called to submit to our husbands as to the Lord. So, where does the example and encouragement and motivation to submit come from and what does it look like? Doug, can you give us some more closing thoughts and encouragements of where does our example and motivation to submit come from? « What Does it Look Like to Set Your Minds on Things Above? hi, where is the “quiz” or assessment i should say, regarding respecting our husbands?